This app lets you about the notifications in the status bar of Android. Go in the app’s settings and you can choose which notifications you want to be active. You can have Wi-Fi, Bluetooth, sound, brightness, rotation, flight mode and flashlight notifications. 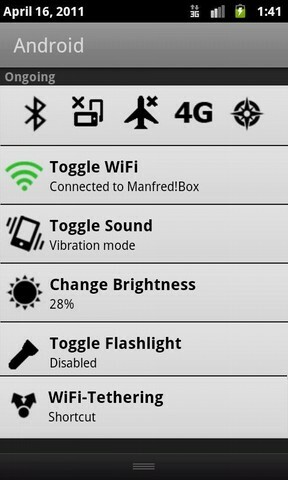 You can also have “all in one” notification which will let you toggle al the features in one click. But there’s a problem that it does not work on some devices. 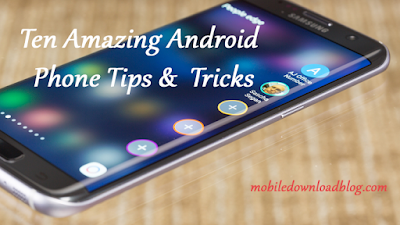 If it does not work on your device, it will display a dialog box which will let you choose the settings to toggle. You can close it with the back-button. 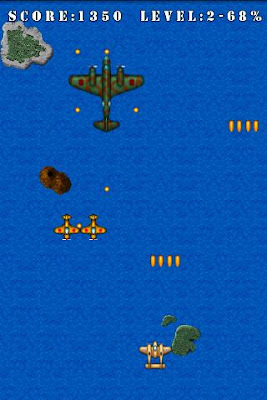 Fly the p-38 airplane and shoot your enemies down. You can choose to control your plane via trackball, Touch screen or D-pad. If you like the games like 1942, skyforce etc, you might like this game for android too. This game brings you back to the year 1942.This game is really simple. You just have to fly over the cost and beat the planes coming in front of you. This game is addictive. 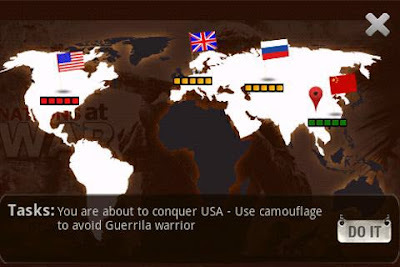 You command your allied forces, complete dangerous missions, expand your army and lead them to victory. What’s the theme? There has a world war broken out between the nations and many nations have dominated in the world war and have become superpowers. You can select from 4 countries: China, U.S., UK and Russia. You also have a market available from where you can recruit soldiers from your own country. Make a plan and be more powerful with best items in arsenal. You can also communicate with other players and collaborate with them to get more powerful. You can combat to fight against your enemy. War stats are displayed for each country with which you can know that which country has taken out which country. You can cash in to purchase weapons and recruit more soldiers to build your army. This strategic game is quite interesting and different from others. If you love strategic games, this is a must-have for you.